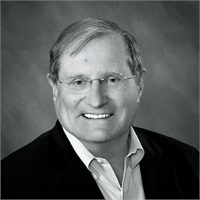 President of Financial Planning Investment Group, Inc.
Louis J. Macloskey, CFP®, CLU, ChFC, graduated from the University of Florida in 1969 with a business degree in marketing and economics. The life insurance industry was his first area of interest and he obtained a CLU certification from the American College in Bryn Mawr, PA in 1976. With a desire to expand into securities and investments, he founded Financial Planning Investment Group in 1979. He went on to further his education and obtained his ChFC certification from the American College in 1982. In 1995, Mr. Macloskey earned his Certified Financial Planner ™ certification and he specializes in comprehensive financial planning. Mr. Macloskey is the President and Chief Compliance Officer of Asset Planning Corporation (a Registered Investment Advisor firm), a noted lecturer and financial columnist.